We have received multiple requests to review “BinaryOptionRobot” (or BinaryOptionsRobot), so here it is. In fact we already did a short private review for one of our readers last year, so this will be a public sum up so that we don’t have to answer every new request individually. So what it is about? 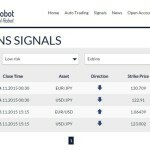 According to BinaryOptionRobot.com it is one of the best auto trading robot software out there. But what is this claim based on? You can see two awards on the page, both are coming from Fair Binary Options. But that web site is promoting BinaryOptionsRobot with an affiliate link, so they obviously are not unbiased. And they also promote obvious scams like Copyop or Investocopy. So a totally unreliable source. 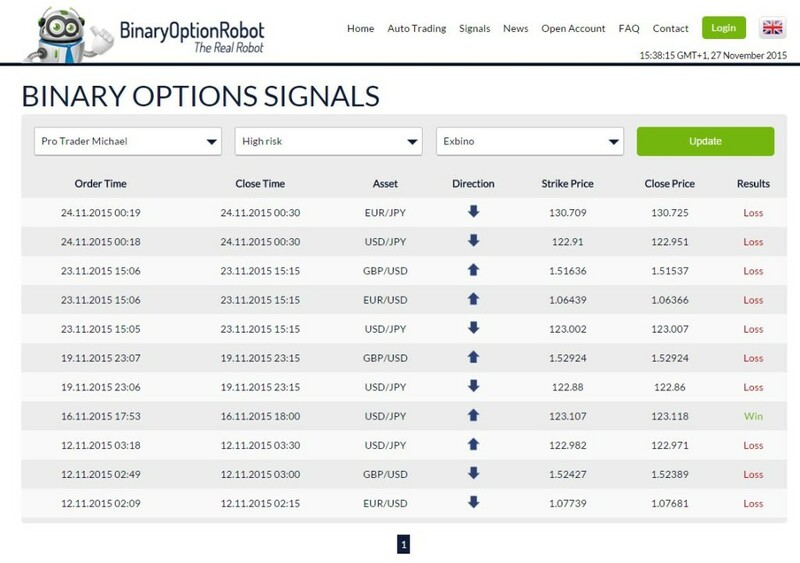 According to the presentation, Binary Option Robot is managed by professional traders who trade every day in order to generate income for clients. But who are these professional traders? What is their experience, where are they from? Are they licences investment advisors? And where is BinaryOptionsRobot based as investment service, is it regulated? You don’t get a single answer to these very important questions. And when we had a look at results of these so called professional traders, we were shocked. Basically they were generating losses anywhere we looked. 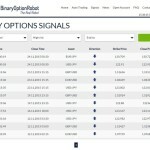 Look at the following screenshots we took last year when we first looked into Binary Option Robot. Would you trade with these so called experts? If the answer is yes, you would be losing money…. Probably every binary options scam that we’ve seen so far is asking you to first deposit with a selected broker, you cannot chose your own company outside their offer. 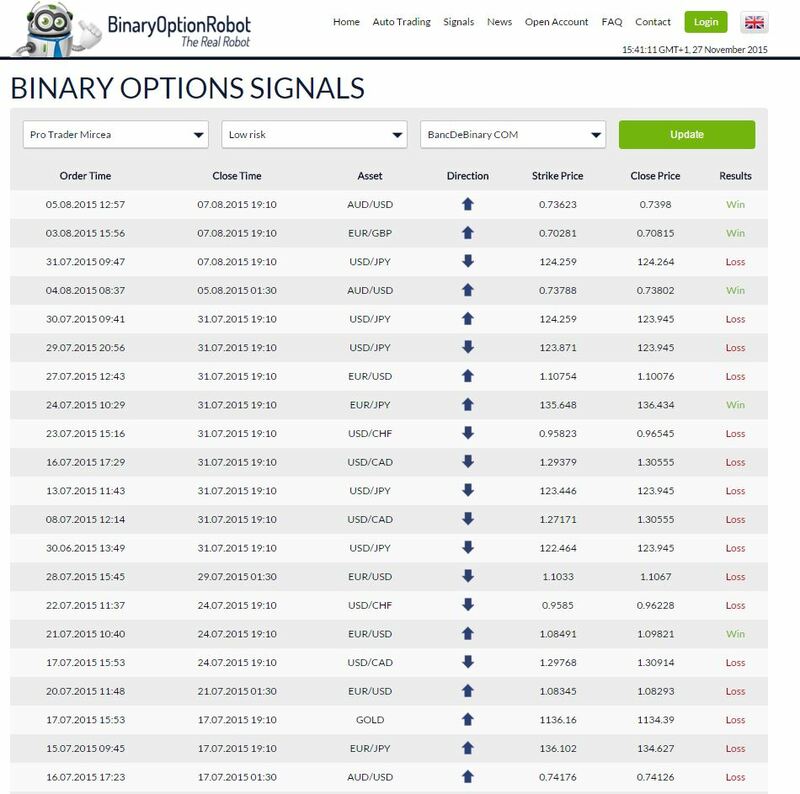 And BinaryOptionRobot is exactly the same, you cannot use their system unless you deposit money with one of their brokers, they are clearly affiliated. And the vast majority of their brokers is unregulated, meanwhile the majority of the rest (Banc de Binary and 24option) doesn’t have the best reputation, to say the least. 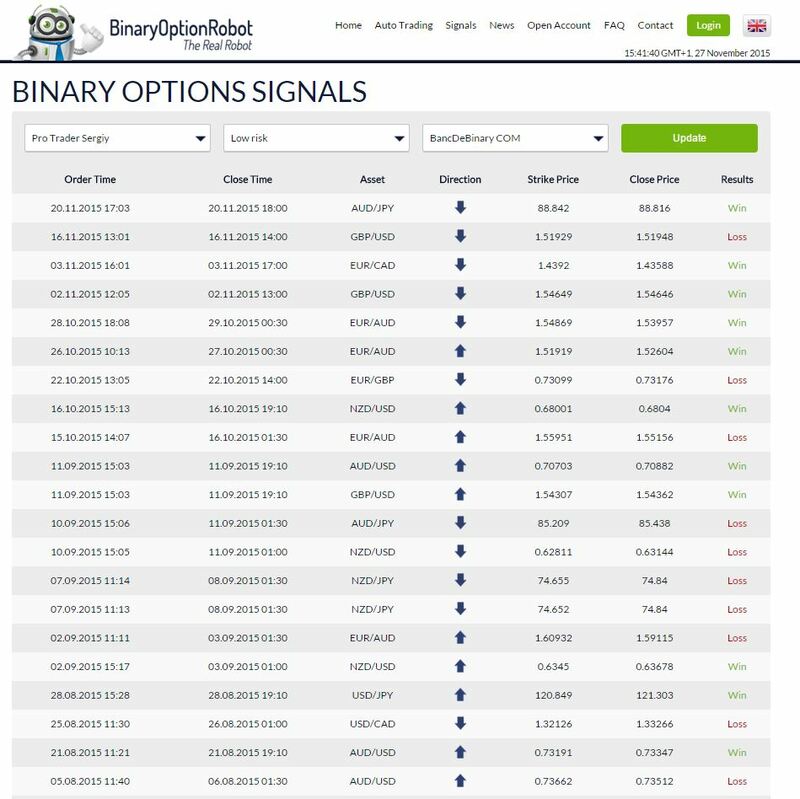 Why is Binary Options Robot not offering a demo? Why you have to deposit first and risk your own money from the start? This is exactly what scams do, they are losing money, so they cannot let you try the system on a real demo. This robot moved the the BinaryOptionsRobot.com domain, but it is the same scam. So stay away from Binary Options Robot too. 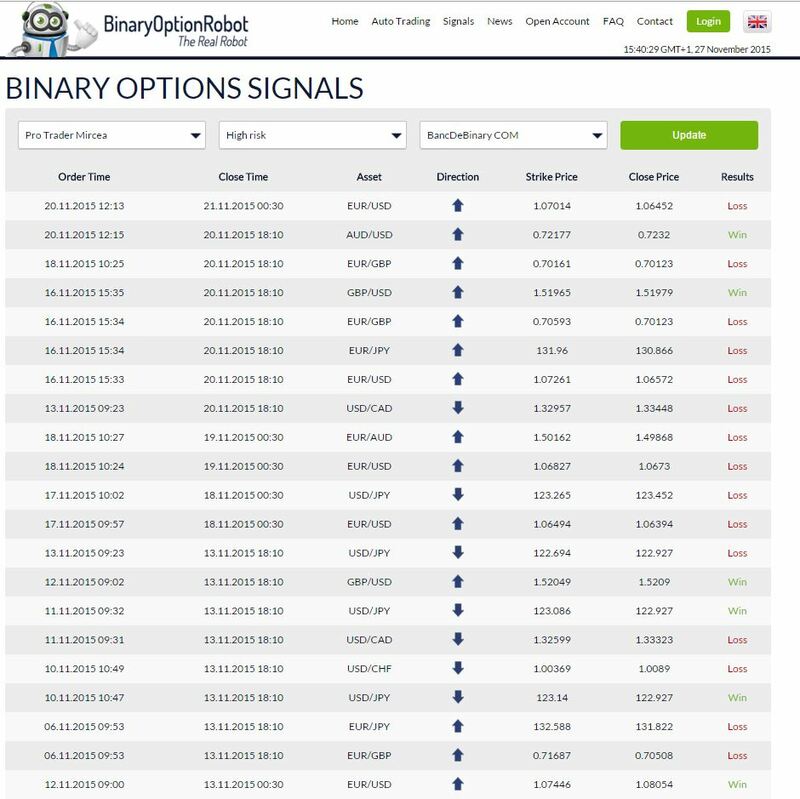 Our recommendation is to stay away from Binary Option Robot. Everything we’ve described in this review suggests that it is a losing system that would lose your money. 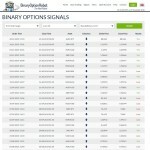 If you want to try binary options trading without risking your own money, do it on a free demo account. There you will see what you have to learn in order to make real profits. And stop looking for a robot or service that will make you money for free. They do not exist. I wish I’d found your site sooner. 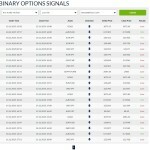 I signed up for this lot on a recommendation from Binary Options Watchdog, whom I trusted to give good advice. The only way to even, choose your broker from the list, or have any control, is to be a VIP, which requires you to drag in another sucker, or invest more. They do have a comprehensive list of their traders history over various trades and it is genuine as there are usually more losses than wins. You can stipulate, the type of commodity/asset,etc and follow various trades and control the risk factor and stop loss etc. I don’t believe this is a scam, as such. But the fact of having to be a VIP, by investing more to have any control, is dubious . 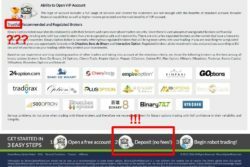 It is a scam, it is based on a white label app (http://thebestbinaryoptionsbrokers.net/white-label-scam-review-algo-trading-bot) that has absolutely no edge and that is fooling people with a fake demo. 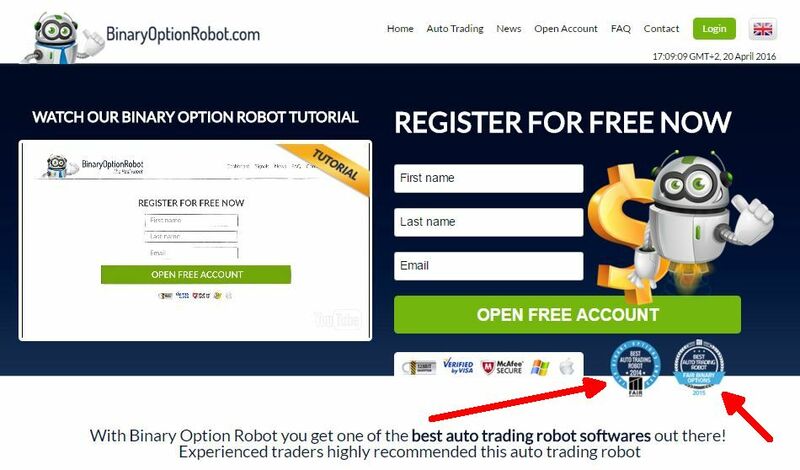 Is there a binary option robot you actually can recommend? Hi, unfortunately there is not, I don’t know about any recommendable one. How about BinaryOptionAutoTrading? It is a scam? Hi, it’s all the same, see Binary Option Auto Trading review. Hello John can you help me out, so today I contacted them at “binaryoptionrobot.com” to try and get live results of the robot and then they tell me that their former hosting company stole their source code and they launched a new one called “binaryoptionsrobot.com” and now I’m really confused on which is the real one but the new one says that they only trade when you’re online with live trades, thanks. It’s the same scam. A hosting company cannot steal your code, it’s a lie. I mean they can copy your app, but then it’s a copyright issue very easy to resolve. But you cannot lose your code this way. Hi John, I was going through your website and see you haven’t made a review on ETX Capital yet, they’ve been around for over a decade but find it weird that they don’t answer to emails or what they say on their website that binary is not regulated, thanks. Hi James, ETX Capital is a british broker regualted by the FCA, however for some strange reason binary options are not overseen in the UK in the same way as Forex for example. Brokers need only a gaming licence for binary options. Concerning ETX Capital, several traders told us that they were applying spreads in a not very obvious way, so different opening and closing prices, which the majority of binary options brokers doesn’t do. Trading is more difficult with spreads, because the price has to overcome the spread first. Thanks John for your help I just need to bother you for a little longer, concerning empireoption they’ve been around since 2010 and haven’t heard too many complaints about it and they use a tool called ifollow which allows you to follow any traders trades. 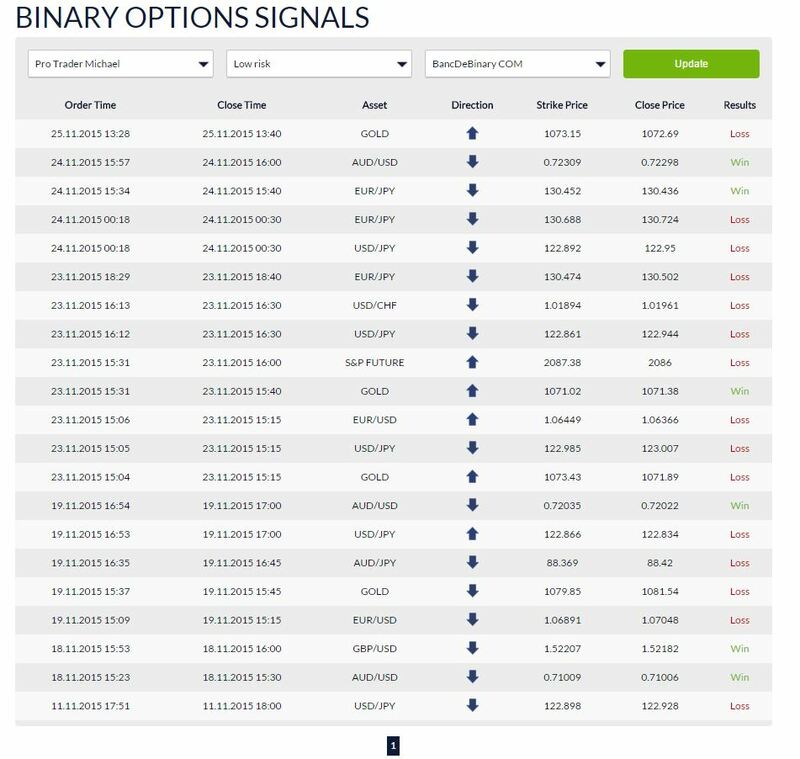 I also want to know if using zulutrader signal services would do any good since spotoption platform uses it to generate signals itself, thanks. 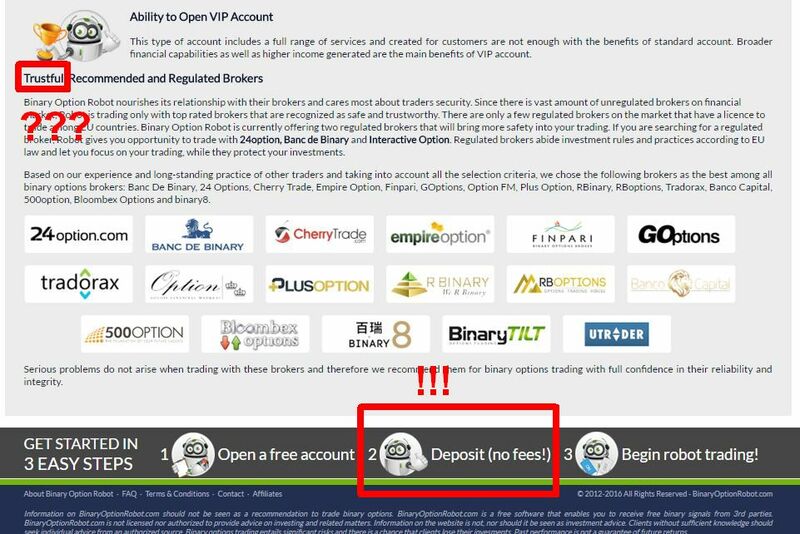 I’m rather sceptical when it comes to binary options strategies/systems that are free only if you deposit money with a certain broker(s), which in this case is unregulated. If they really let you try it for free the first 7 days, you can do it to verify the performance of the signals. I immediately see that Dr. Planter is a losing strategy. The problem even with good signals is that you never know when they’ll come, so you cannot tell if you will be able to execute them. I remain persuaded that a personal strategy tailored to your needs and based on what you learn is the best way.